Blacka Da Don releases “Life In The Garden” off his newest project “A Part Of My Story“. Video was directed by Blacka Da Don, BrownGuyMadeIT and Johnny Bravo. Toronto rapper Dre Barrs releases a new video entitled “Compose My Thoughts”. Video was directed by Deighton Goode. Ottawa battle rapper Gravity takes on Chetty, formerly known as Perspectivez. Chetty made the trip from Toronto for his Capital Rap Battles debut. This week on HOTT TV they talk about the sexual assault allegations that continue to roll in. Check it out! Maestro Fresh Wes drops a new video entitled “Skyscrapers”. The song featuring Kool Keith is the latest video with music from Maestro’s LP “Coach Fresh“. The banger was produced by Lord Quest and the visual by Gerald K. Barclay. Two very successful Canadian artists team up to drop a single for the clubs. The song is entitled “Number One” and the video was directed by Zac Facts. Brand new visual from Harvey Stripes, track is called “Money Counter” and features Snootie Wild. The beat was produced by Dunlap. We were just sent a new video from Cadence Weapon, for a song titled “My Crew”. The video was directed by Kevin Calero and the beat was produced by Kaytranada. 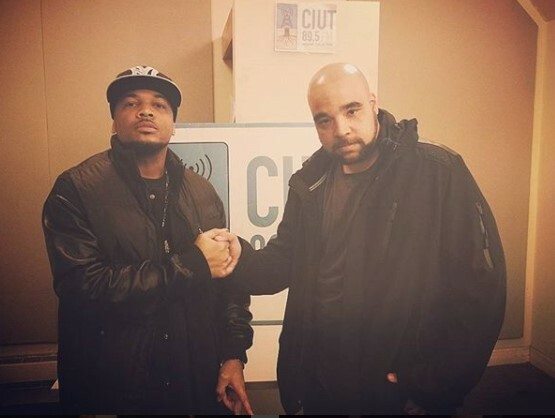 Peep the latest interview on Bring Ya Eh Game radio with legendary Canadian artist, Infinite. We chop it up about his latest single, rocking the stage with his son, his commercial with 50 Cent and much more.